Mendocino Generations welcomes like-minded companies and individuals who are not farmers, but are collaborators in our industry. These associate business members offer valued products and services to our farmers. We work together to support our industry and keep our community strong.  Associate business members are a special kind of partner with Mendocino Generations. We help promote and support each other through various projects, events and business relationships. To become a business associate member, please visit the join page. Mendocino Clone Company is a cannabis nursery committed to providing the highest quality, pesticide free, naturally grown, genetically certified clones. Mendocino Management Group is a Farm Labor Contractor available to help with agricultural laborer needs and payroll services. Many other businesses offer bulk rates or discounts to our farmers. When folks are good to us we are good to them! Support your local and farmer friendly companies! AG Unlimited is the premier agricultural retail supplier in Mendocino, Sonoma, Napa, and Lake Counties in Northern California. AG Unlimited markets fertilizer, seed, crop protection, and agronomic services for the California agriculture industry. Nestled in the hills above Potter Valley in Mendocino County lies the Cold Creek Compost facility. Established in 1995 as the first fully permitted compost facility between San Francisco and the Oregon border, the Cold Creek facility is quite unlike most composting operations. Since inception, Cold Creek has been committed to developing and producing high quality, nutrient rich soil amendments. Cold Creek Compost was a pioneer in what is now considered Sustainable Materials Management and is committed to producing an organic fertilizer superior to traditional chemical fertilizers. Maureen Mulheren offers clients a variety of options for personal insurance with auto, home and umbrella, as well as insuring businesses for liability, workers compensation and more. As the industry changes around us, you can't afford to use sub par fertilizer programs anymore who make their models around overpriced small retail sales. We are here to work face to face with farmers and make sure that you are successful in taking the right steps into the future. Soil is an important investment, and is what provides life and health to your crops. Creating the highest quality, most effective organics fertilizers out there, our aim is for you to have great results in production, and also to help protect and improve your soil quality and biology. CW Analytical was co-founded in 2009 by Robert Martin Jr., PhD and John Oram PhD, who noticed that the medical cannabis industry in California was lacking the regulatory and quality assurance practices to ensure the availability of clean, safe medicine. Initially, analytical testing in California was centered heavily around potency testing, with little regard for contamination from bacteria and fungi, or chemical contamination from pesticides. We recognized that in order for the industry to provide medicine to sick patients, quality assurance practices would need to go beyond just potency testing and address these problems of contamination. Located in Northern California, DripWorks provides quality drip irrigation supplies and equipment to people wanting to reap the savings and benefits of using drip irrigation. Drip irrigation is an easy way to save time, water and money. Believed by many to be the world's most valuable development in agriculture, drip irrigation is key to water conservation. As a result of its water saving effect, the use of drip irrigation is less expensive, greener, and, if installed in time, a plant-saving option for watering. It can be set up using municipal water and wells, as well as rain-catchment sources. Dirty Business Soil Consulting & Analysis (DBS) is a laboratory dedicated to providing premium agricultural testing and consulting services to the Northern California region. Our goal is to provide knowledge to help build a healthy self-reliant community. Our mission is to help people and businesses care for their local soil and water resources by providing an array of scientific services for customers at all knowledge and experience levels. We make science accessible to everyone. Hydro Pacific is a real store with real people who stand by their products. You can find cheaper prices on thrown-together websites, but you won't have the knowledge born of the experience in this area. You can shop the unknown or you can establish a long term relationship, season after season, with the real people at Hydro Pacific, and enjoy the intangibles that make it all good: a cheerful, helpful attitude, great service, product excellence, and loyalty. Nestled in Redwood Valley, Mendocino Greenhouse & Garden Supply is a community staple, providing the highest-quality products to meet customers’ diverse needs and empowering them to grow thriving gardens in Mendocino County and beyond. Marketing born and raised in the cannabis industry, we work with our partners to harvest dreams. We are growers, we are patients, we are professionals. Natural Enemies uses beneficial insects to help commercial cannabis farmers control pest insects, such as fungus gnats, spider mites, root aphids, russet mites, broad mites, and Thrips. Phylos Bioscience is a genomics company based in the Pacific Northwest. Their scientists use modern molecular genetics and computational biology to create innovative tools for growers and breeders. Sparetime Supply Distribution is a wholesale distributor of indoor and outdoor gardening supplies. TerraVesco® produces professional grade, OMRI listed and CDFA certified organic vermicompost. Our proprietary production process utilizes millions of earthworms (E. Fetida) to convert organic dairy manure into an organic soil amendment, meeting the highest product quality and consistency standards. TerraVesco Vermicompost satisfies the requirements of the most demanding precision wine grape and tree nut growers, master gardeners, and landscape professionals. If we haven't listed you here and you have expertise to offer, or would like to join the community, we'd love to hear from you.